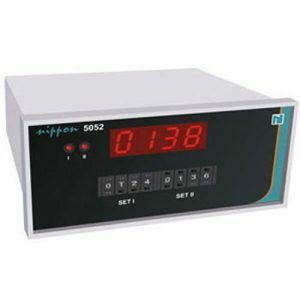 Counters – Nippon Instruments (India) Pvt. 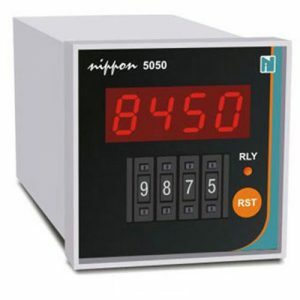 Ltd.
Nippon 5050-B, 5050 & 5050-6 are unique digital Presettable Counters with and without memory having wide applications in textile Industries for meter counting, Pharmaceutical – chemical – Food Industries for event counting, packing machinaries, machine tool engineering for stroke counting and many other areas where accurate counting is involved. Modular design in DIN size box. Accepting wide range of inputs. Memory in case of Power failure. 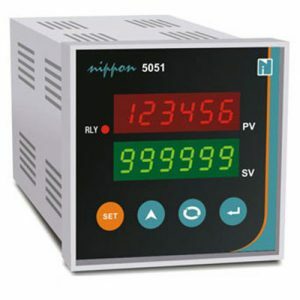 Nippon 5051 series is designed with state-of-art microcontrollers. The sturdy and robust hardware makes the counters suitable for industrial environment. 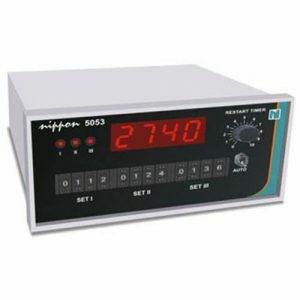 The user friendly programming addresses universal applications for complex counting. The nippon 5051 series is widely accepted in packaging, plastics, pharmaceuticals, chemicals, machine tools, textiles,…etc indstries. 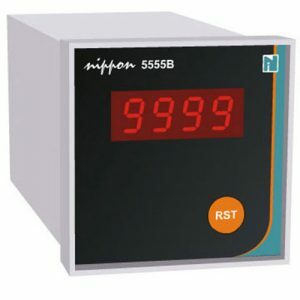 Nippon 5052 : 2 STAGE PRESETTABLE COUNTER. The instrument accepts Promimity Switch, Voltage Pulse, Encoder etc. The counter is immune to industrial noise. It has modular, Sturdy and accurate design. It finds application in Counting Length, Events…. etc. It has 2 set points & 2 relay o/p's 5052 instrument is sized in 72 mm (H) x 144 mm (W) DIN size Box. 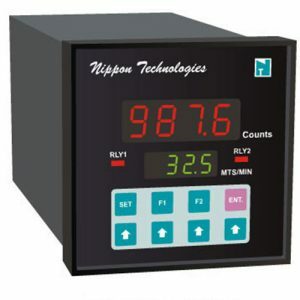 Nippon 5555B is a unique Count Totaliser with and without memory having wide applications in textile industries for meter counting, Pharmaceutical – chemical – food industries for event counting, packing machineries, machine tool engineering for stroke counting and many other areas where accurate counting is involved. Counting speed upto 1000 Pulses per second. 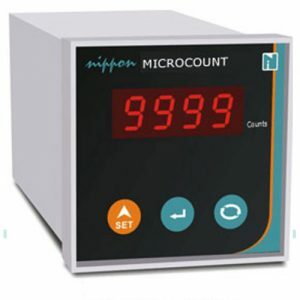 Nippon Microcount is designed with state-of-art microcontrollers. The sturdy and robust hardware makes the counters suitable for industrial environment. 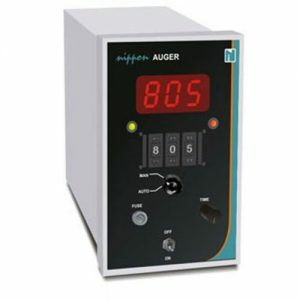 The user friendly programming addresses universal applications for complex counting. The nippon 5051 series is widely accepted in packaging, plastics, pharmaceuticals, chemicals, machine tools, textiles,…etc indstries. Totalizing Mts/Min Indicator, Rate encounter, RPM measurement. 72H X 72W DIN size and 96H X 96W DIN size.